Given up for dead, Blackberry is back with the Keytwo, powered by Android. If you are like me and can't stand typing on glass, there is hope for you. Blackberry licensed smartphone production to TCL. The Keytwo uses Oreo. Thus if you own a Samsung Galaxy, you can pick up a Keytwo and start using it with almost no learning curve. The keyboard provides useful shortcuts. It can be set up to open your favorite apps. For example, a short press of the "T" key opens Twitter, "I" for Instagram, and so on on my phone. You can also set up the keys for speed dialing your favorite phone numbers as well. What is the best feature? The battery. It is a beast. A full charge can last almost two day as your charger will no longer resemble a leash. RAM is 6 GB and internal memory is 64 GB. The phone is available in black or silver. It works well with Airpods and your car's Bluetooth system. It can handle up to a 256 GB sd card. It also has a fingerprint sensor on the Spacebar for security. It is factory unlocked and must be purchased through Amazon or Best Buy. A cheaper, lower-spec'd Light Edition is available as well in various colors: Atomic Red, Black, and Champagne. 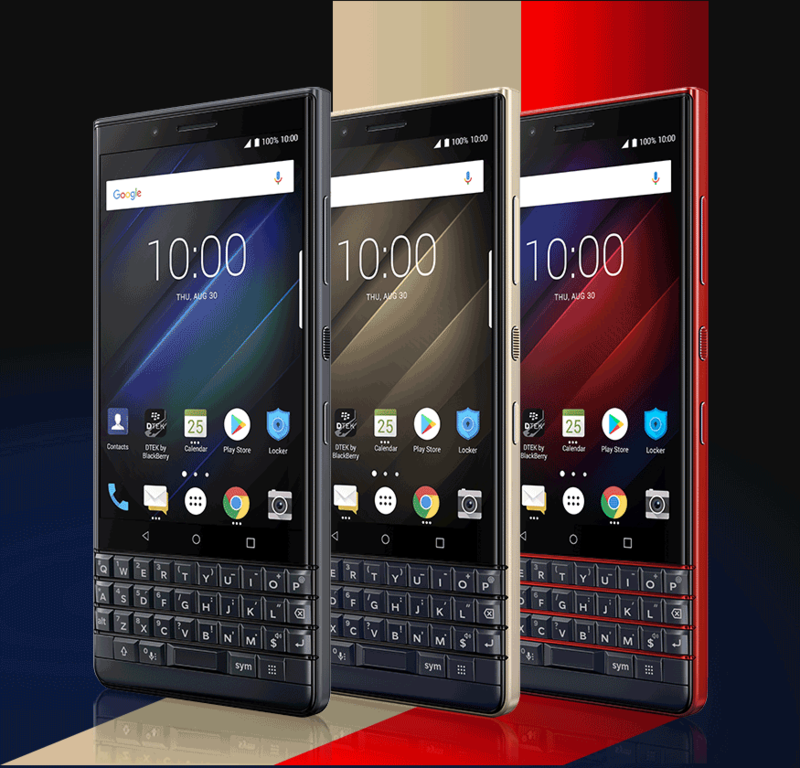 It has 4 GB of RAM and 64 GB of internal memory although it lacks the Keytwo's capacitive keyboard. It is $449 although it has been on sale at times for $399. If you want to go a little cheaper, the Blackberry Keyone Black edition is still available at Amazon for $399. It has 4 GB RAM and 64 GB memory but has an older processor although it's pretty damn fast. It updated to Oreo last summer. JJ recommends the Seidio Surface case. there will definitely be chapters devoted to your love of dogs, hottest reporter poll, and of course the damn Blackberry obsession. I dig it. Do you know if compatible with CSpire network? I always did like blackberry phones. It is unfortunate that they grew so stagnant like so many giants that withered away to a shell of their former glory. Sort of like the trolls and censorship of racial reality is going to kill this site eventually. People can get leftist spin anywhere. I'm with you Kingfish. I still have mine and use it everyday!! Does it out preform Apple? Looks good. what doesn't out perform (or preform) apple? When my Palm was new the battery would last a week to 10 days on a single charge. I hated the day that I had to leave Blackberry. The company did add a touch screen, but then abandoned everything that made it good - raised keyboard, ability to easily position the curser where you desired... and attempted to copy iPhone. Does anybody remember the modem cradle you could snap your Palm into to check your email? You had to connect to a phone line - but if you had that you were BALLER! These aren't the Storms. Great phones. I use the Keyone Black Edition. Does everything I need but I'm not a gamer. Get everything I need from Google Play Store. The keyboards will remind you of the Bolds. Come on back.